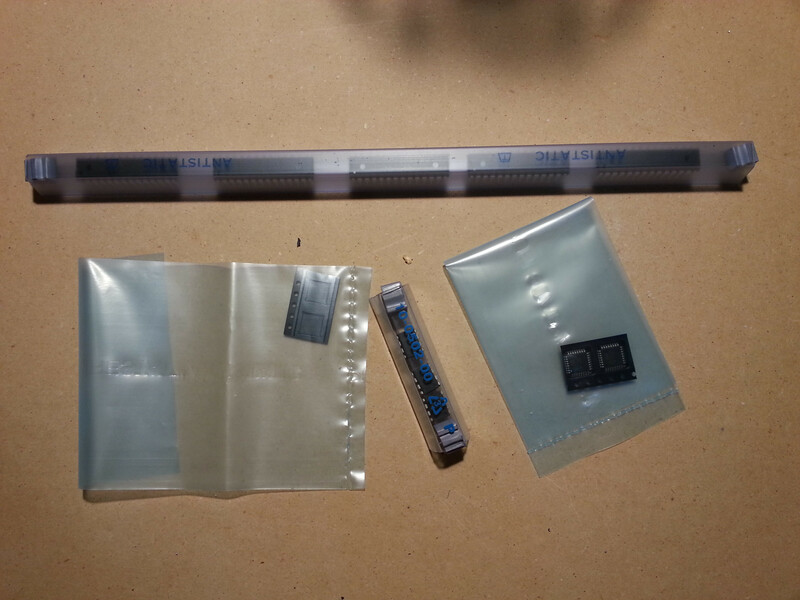 This is a short recap about my EXCELLENT experience with Atmel. It all started when I went to request sample chips from Atmel to use in teaching my understudy how to solder and give them their own micro controller while they were at it(also asked about stickers). I sent a tweet to @TheAVRMan and we got to talking, he directed me to use the "Request samples" page on Atmel's site, however as I use a Gmail address it wouldn't let me request samples, told me "Your email domain is not authorized to request samples from Atmel com. Please use your company email domain to request samples." . The crux of the problem was that my gmail address is my company email. I tweeted him back about the issue and he said he would discuss it with his team. A few hours later he got back with me and told me he would get around the block, gave him my email and not long afterwards had an email from the sample department asking which stock number(s) and how many I needed, sent back an email with the request and later that day got confirmation that they were shipped. I was stunned at the lengths that they went to get me free chips, they have gone to ridiculous lengths to get a tinkerer like me hooked up with awesome loot. Two days later the stickers came in first and they sent me 10 sheets worth! The following day the chips came in. I felt like a kid on christmas opening the boxes and anti-static bags and pulling the chips out. 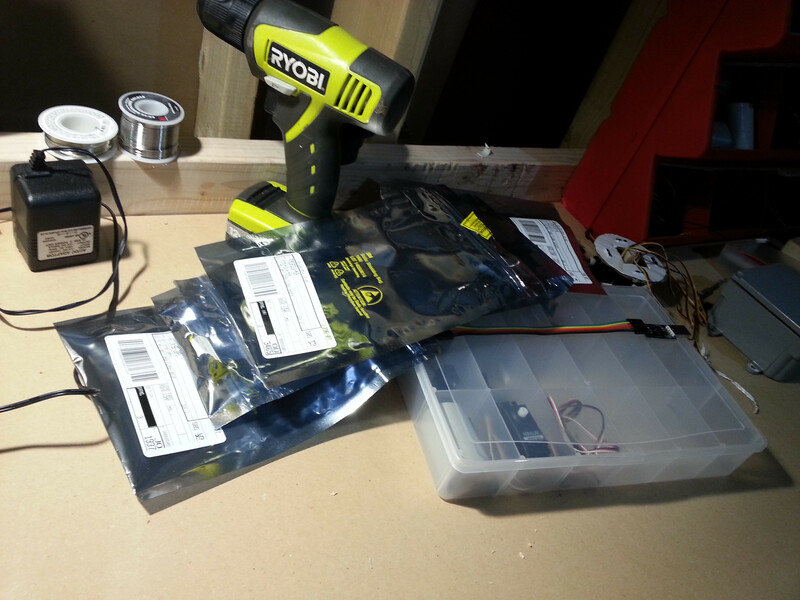 Thank you Atmel, from the bottom of my Maker heart, I was dumbfounded at the effort you put into a little guy like me. 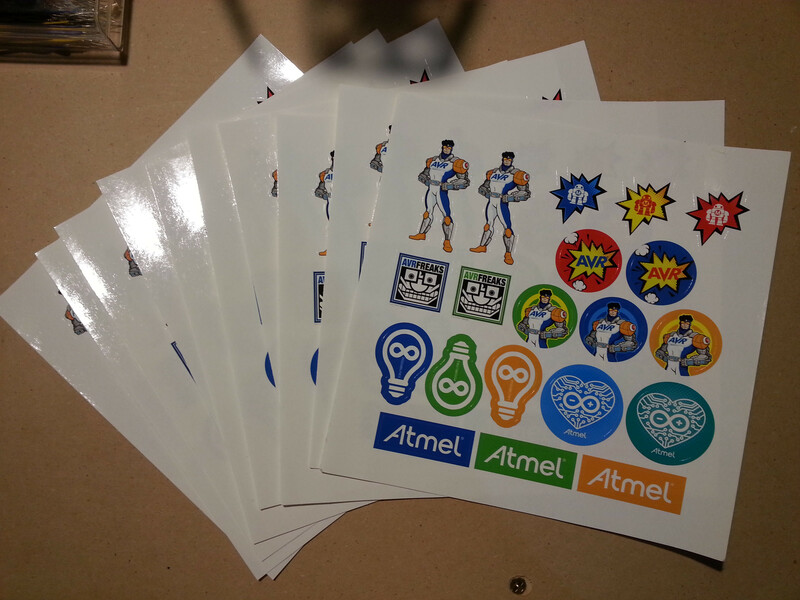 Ten sheets worth of Atmel stickers!